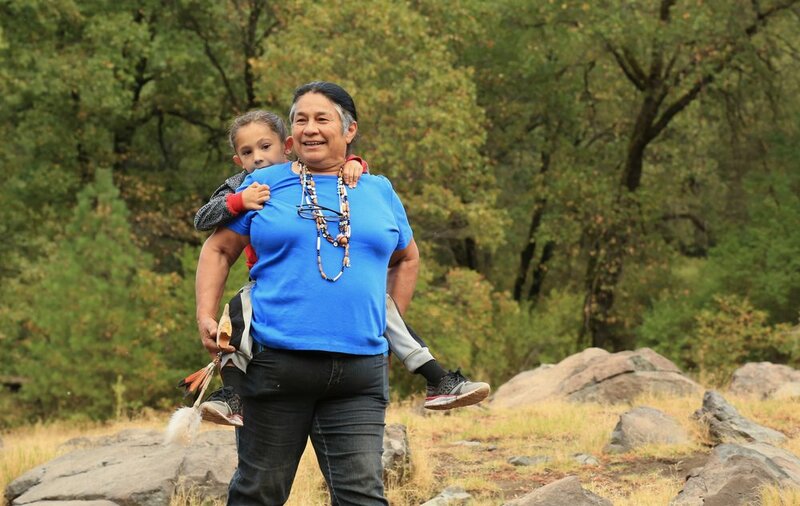 When the 602-foot Shasta Dam was constructed during World War II in Northern California, it flooded the Winnemem Wintu’s ancestral lands and blocked the tribe’s wild Chinook salmon from swimming home to their spawning grounds in the McCloud River. 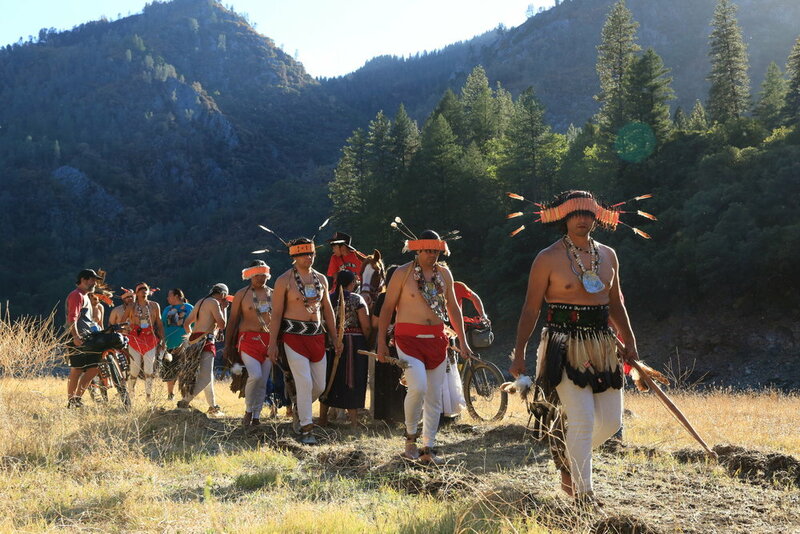 As pre-construction activities are underway to raise the dam even higher, the tribe and supporters on Sept. 30 completed the Run4Salmon, a prayerful journey tracing the route the salmon used to travel from the ocean back home before the dam. 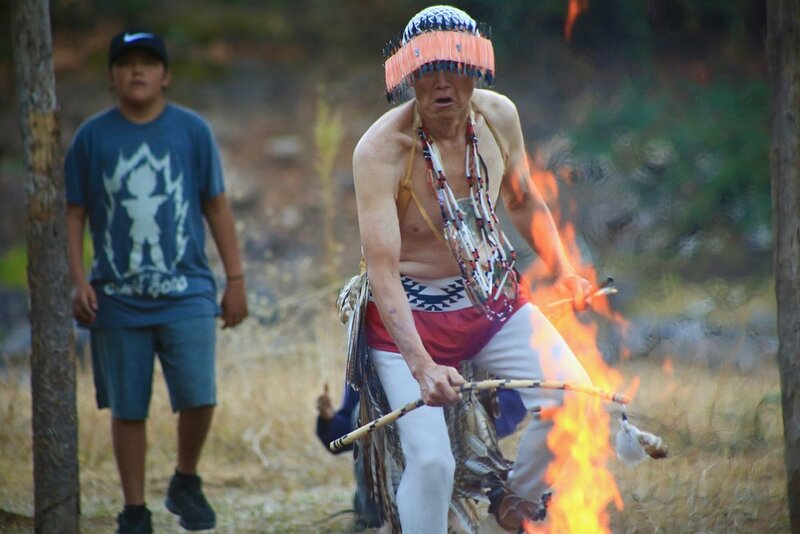 Participants paddled, ran, bicycled and road boats for 300 miles for more than two weeks, stopping for ceremonies, educational forums and salmon-inspired concerts along the way. 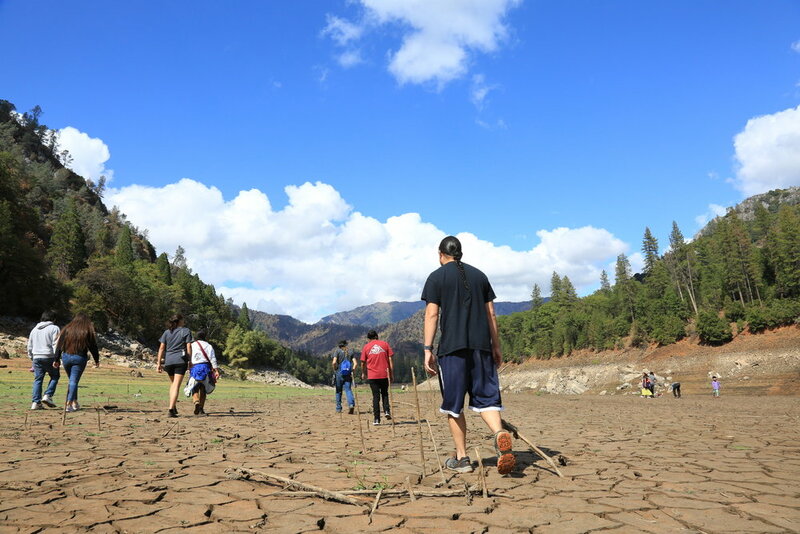 Because of massive water diversions by the Bureau of Reclamation and PGE, the McCloud River was near its minimum required flow of 200 cfs, a mere fraction of it's powerful, natural flow. Thus, paddlers had to dock about 2 miles south of the final ceremony site and walk the last two miles of the journey. The participants laid down prayers for the salmon’s return during the Run4Salmon journey, and the tribe says the Run4Salmon is meant to raise awareness about the spiritual and ecological importance of healthy watersheds and salmon, which have become even more endangered by the Trump administration’s support for increased water diversions for industrial agriculture. The tribe has been working since 2010 to work with the federal government to return the genetic descendants of their salmon, which are currently thriving in New Zealand after eggs were shipped there in the early 20th century. Photos from Redding’s "Families Belong Together” march.